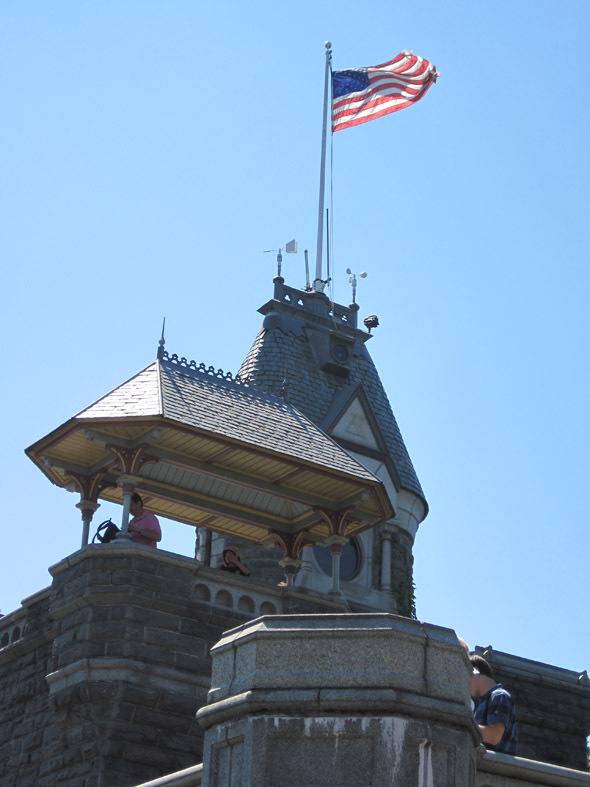 Belvedere Castle was built in 1869, using stone from excavations elsewhere in the park, dressed with gray granite. 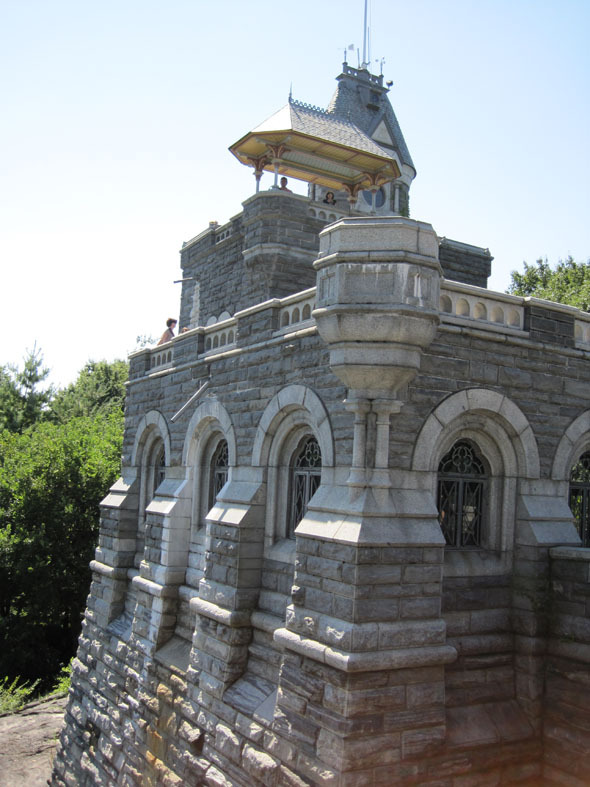 The castle provided a feature “” a folly “” that capped the natural-looking woodlands as seen from the formal Bethesda Terrace. As the plantings matured, the castle has disappeared from its original intended viewpoint. 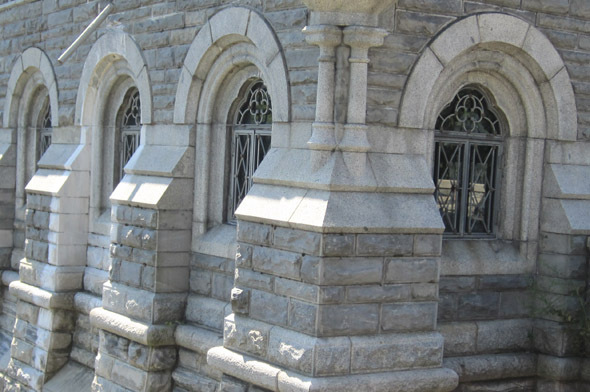 An architectural hybrid of Gothic and Romanesque styles, Belvedere Castle was originally built as a shell with open doorway and window openings. It later housed the New York Meteorological Observatory, which was taken over by the United States Weather Bureau in 1912. 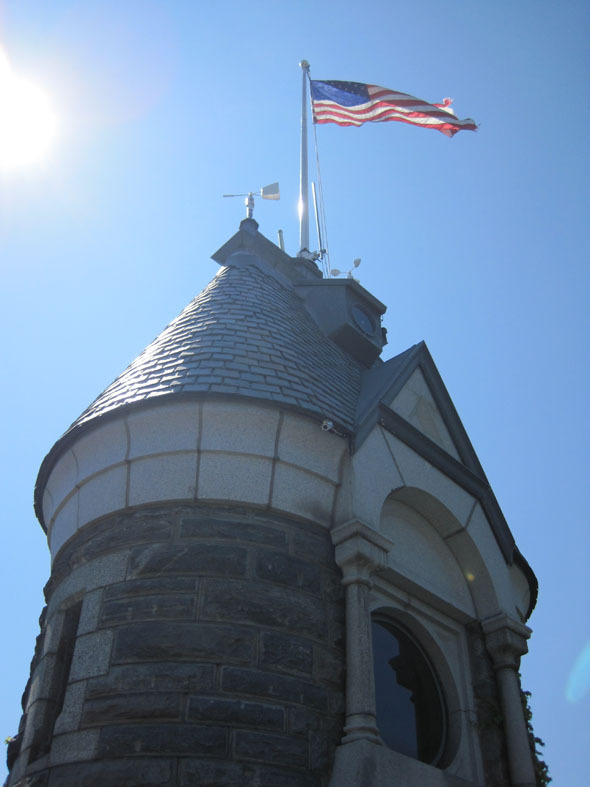 After the New York Meteorological Observatory relocated to Rockefeller Center in the 1960s, Belvedere Castle was closed to the public and became an object of much vandalism, neglect and deterioration. 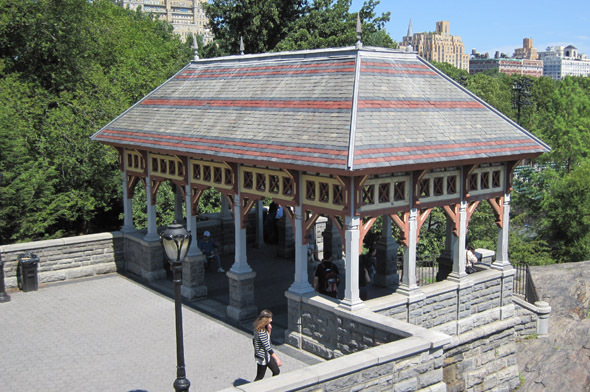 It was restored and reopened by the Central Park Conservancy in 1983.